Last updated: May 2017. It’s not fair, isn’t it? As if cramps, emotional outbursts and bloating aren’t enough, lower back pain before and during your period (primary dysmenorrhea) comes and joins the PMS party every single month. Why do you suffer from uncomfortable pain in your lower back every month? Should you get checked by a doctor and how can you stop the pain – without medicating yourself every month? The answers are all here. But first, let’s see why this happens in the first place, o.k? 1 What Causes Lower Back Pain Before and During Period? 2 What if Your Pain is Excruciating and Unbearable? What Causes Lower Back Pain Before and During Period? Your pelvic region is a network of nerves. It’s like a nest where the twigs are all intertwined. If you feel irritation on one side (like the abdomen) you may feel it on the other side too – your lower back – just as easily. Every month your body builds up a thick uterine lining (endometrium) to prepare for a fertilized egg. If you don’t become pregnant, estrogen and progesterone levels decrease and hormones called prostaglandins and cue your body to get rid of the endometrium – through contracting. If you have a high level of prostaglandins, you’ll have more intense contractions of your uterus and more pain. Unfortunately, prostaglandins are also inflammation-causers in our body, which is why taking anti inflammation medication brings relief to most people. Magnesium acts as a muscle relaxer (among many other things) in your body. These muscles include the uterus, the abdomen muscles and back muscles of course. These days most of us unknowingly lack Magnesium (due to modern farming, diet choices, caffeine and more). For example, one of the most common signs of Magnesium deficiency is ongoing muscle cramps. What if Your Pain is Excruciating and Unbearable? 1. Endometriosis – Uterine tissue that appears outside the uterus. 2. Fibroids and adenomyosis — noncancerous (benign) growths in the uterus. Generally, if you’ve always had the same pain levels than it’s nothing to worry about. But if you see a sudden change in your symptoms, get checked by a doctor please. I know, I know. You probably want to reach out to your monthly little helper – Ibuprofen. But if you’re still here with me, I hope you want to stop your dependence on these possible life-threatening medications and switch to a natural treatment for your menstrual back pain. Trust me; there are more than a few natural home remedies that are just as effective, or more, than drugs. We can use heat (check out the 3 best heating pads for menstrual pain), natural anti inflammation foods and supplements and avoiding a few problematic pain aggravators – to dramatically relieve menstrual back pain. Through my research (and personal experience) I’ve found that heat is the most effective and fast way to relieve cramps and back pain. Heat promotes blood circulation, which elevates pain-relieving and anti-inflammation components in our blood. A hot bath is the easiest solution, preferably with Magnesium flakes in it. The heat can immediately relieve the pain, and the added Transdermal Magnesium flakes will quickly be absorbed in your body, elevating your Magnesium levels. 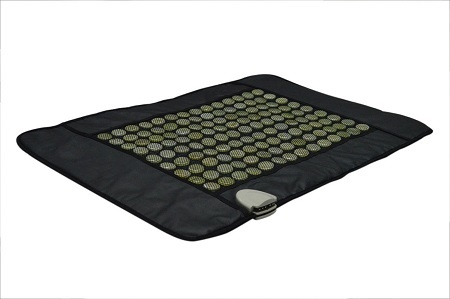 If you don’t have time for a hot bath and your pain “catches” you in the middle of work for instance, a small and portable infrared heating pad is all you’ll need to quickly relieve your pain in lower back. Why infrared and not just a regular heating pad? Well, infrared heat, which is completely natural and safe, penetrates deeper than electric heat, plus it emits much less EMF radiation. It can relieve your pain for 6 hours without medication. I think every home should have an infrared heating pad, which has about a million uses and is practically a home-doctor for me and my family. Magnesium oil, which is basically Magnesium Chloride flakes in water, is one of the best muscle pain relievers of all time (In my experience). You simply rub it on your lower back and let it stay there for 20 minutes for a quick back pain relief – then wash it off. Transdermal Magnesium is the most absorbed type of Magnesium. It can get in your blood through your skin and absorbs better than oral Magnesium supplements. If it’s the first time you hear about Magnesium oil, you’ll be glad you did. Here’s more about Magnesium oil and its many great uses. My recommended brand is Ancient Minerals – see the hundreds of user reviews for it HERE. All anti inflammation foods and herbs, taken regularly, can reduce inflammation in your pelvic area and relieve your pain. 1. Devil’s Claw – used for decades to reduce inflammation and muscle spasms. A series of studies completed in Germany found that the main ingredient in Devil’s Claw was indistinguishable from Vioxx in the treatment of chronic low back pain. However, don’t use it if you take any kind of blood thinners. 2. Chamomile Tea – helps to calm muscle spasm. You can have as much as 3 cups per day or 3 capsules per day. 3. Turmeric – there are more than 1500 studies about the proven benefits of this super anti-inflammation food. A recent study done at the prestigious Sloan-Kettering Cancer Research Center in New York, found that Turmeric was more safe and precise than aspirin in eliminating inflammation (without the well-known side effect of aspirin, such as stomach irritation). The simplest way to add it to your diet is to spice your food with Turmeric powder, but if you don’t like the taste – Here’s the best supplement in my opinion. 4. Pineapple – Bromelain, a natural compound found in Pineapples, contain several proteolytic enzymes, which basically “short-circuit” multiple pain pathways in the body. This is a good Bromelain supplement (combined with Papain, another natural pain buster). 5. Ginger – you probably already know about the strong anti-inflammation abilities of Ginger, which can reduce the amount of those earlier-mentioned prostaglandins. The result? Weaker contractions – less pain. You can buy the actual ginger root and add it to your green juice, or you can take ginger root capsules. By the way, my favorite anti-inflammation all-in-one supplement contains all of these herbs and more, and is called “Heal n’ Soothe”. You can find more about Heal n’ Soothe HERE. Certain foods and beverages are well known to increase inflammation and pain through out your body. Coffee and all other caffeinated drinks (tea, energy drinks etc) reduce Magnesium (the “muscle relaxer”) levels in your body plus increase inflammation. Actually, the best liquids to have during your menstrual cycle are homemade broth, chicken soup and hot water with lemon. As always, try to avoid inflammation foods – processed foods, meat and dairy. Add as much vegetables and fruits as you possible can. Lower back pain during period is not a life sentence and you don’t have to depend on health-destroying medication to relieve it effectively and fast. Use heat, warm liquids and inflammation busting herbs and spices and you’ll quickly reap the pain relief that you’ve waited for, while boosting your health and well being at the same time. What about you? I would love to read your recommendations for natural menstrual pain relief. What works best for you? I used to have terrible cramping in my back when I was still having a cycle (had hysterectomy 20 years ago). As a matter of fact, my labor during child birth was in my back. Oh! How painful. This was back in the “olden days” when we didn’t have all the wonderful epidurals like today. 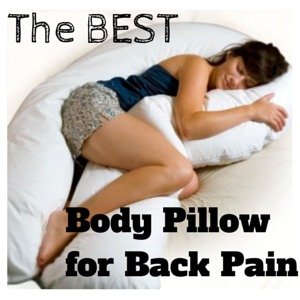 What I found relieved the back pain during a cycle was to lay a heating pad on the bed, place a towel over it to prevent burning my skin, lay on top of it with it positioned on my lower back, and turn the dial as high as I could stand it. Elevating your feet while lying down also helps.